Brown Bears and Grizzlies are genetically the same however Boone Crockett notices them as different. The main difference between the two is geography and diet. Grizzlies reside in interior North America, primarily in the northwest states and Canada. There is approximately 15,000 Grizzlies in BC with an annual harvest of 350 bears per year, in the past years the bear population has increased and have even became a nuisance. Grizzlies diet consists of grass, new growth and Berries. 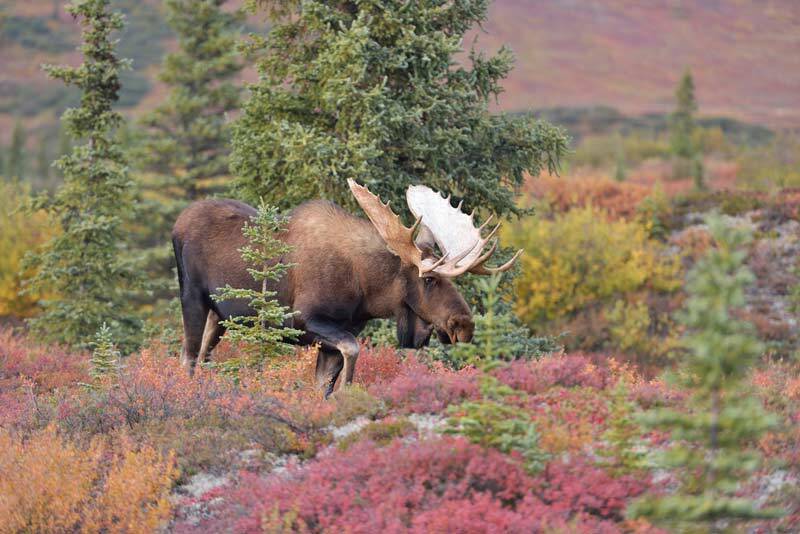 They compliment their diet with moose, elk, deer, sheep and even bear cubs. Interior Grizzlies are generally smaller then the Brown Bear, usually ranging in the 7 ½ foot to 10 foot. Grizzly hunts are usually cheaper cause of their size and success rates. Our territory is located in northern BC with on of the highest densities of grizzly bears noticed by the British Columbia Government. Brown Bears are found along the coast and are scored as a different species in the Boone Crockett book. Their diet consists of mainly fish, mostly Salmon and Berries. These bears are larger in length and weight, often in the 11 plus footmark. Brown Bears also have a subspecies known as the Kodiak bear that is isolated Brown Bears found Kodiak Island and others. There is a much larger population of bears along the coast due to the longer feeding seasons and a higher protein diet. 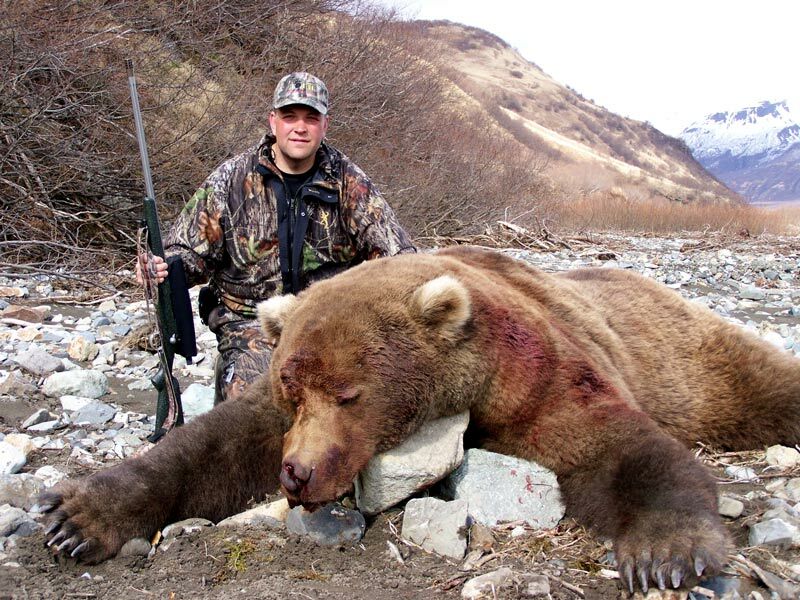 Brown Bear hunts are much more expensive then Grizzly often twice as much. 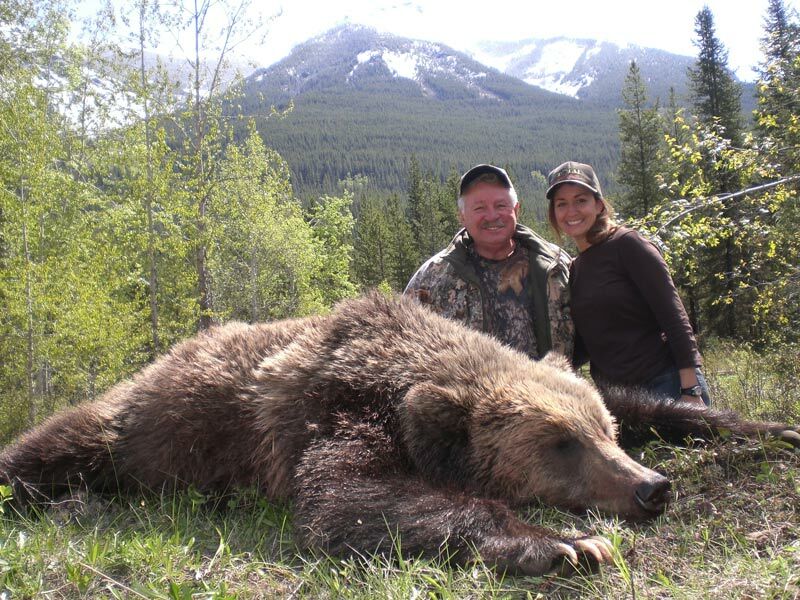 Total Outdoor Adventures offers interior Grizzly hunts in Northern BC with high success rates. This is a trophy hunt and we only harvest mature boars with a minimum length of seven and a half feet.